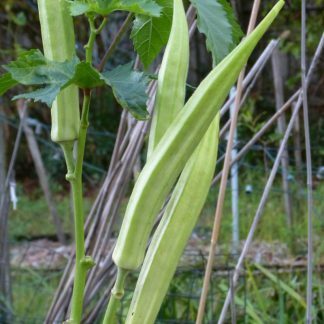 “Silver Queen” okra, like White Velvet, is one of the okra types I personally like best…no ridges. 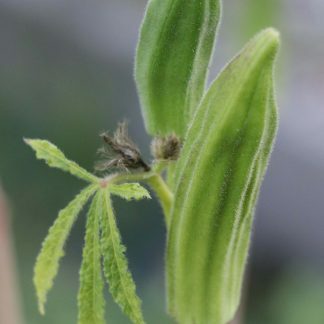 The outsides of the pods are smooth and velvety. I know of several other varieties with this texture: Red Velvet; Green Velvet (Emerald, Emerald Green, Emerald Green Velvet); and White Velvet. There may be more. 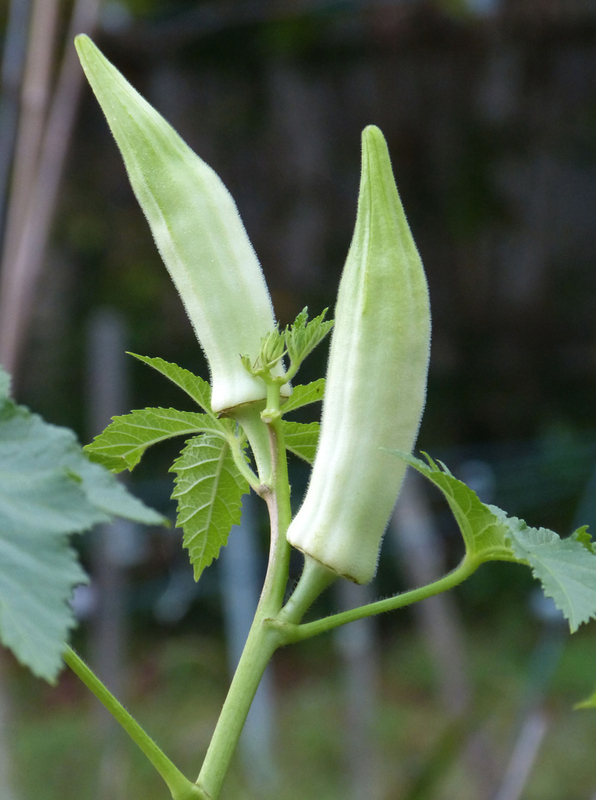 Silver Queen produces regal fashion-model slim pods (at full growth) that look like white jade. 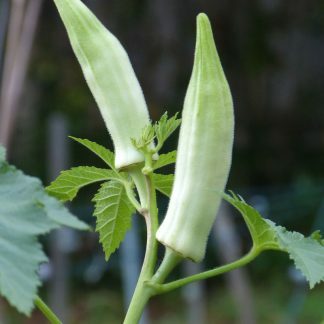 The appearance alone makes it worth growing, but when picked tender at 5” long, the eating quality is superb.